When you’ve lived in a town for a long time, you have the idea that everyone thinks and knows the same things because we all live in the same little community. But that’s not true—some live in different parts of town; they’ve seen different things; they remember different things. In my town it took something big to lead me to this realization—a mountain of trash. I moved to my corner house in Avenal in 2003 because it was across from the high school and the park, which had beautiful, humongous green trees. Avenal is a little town on the west side of the Central Valley, close to I-5. There’s about 9,000 residents and another 4,000 are in the state prison. Most people in town are farmworkers. Eight years ago, a huge storm knocked the big trees in the park down. So then I could see the brown humps of the Kettleman Hills just outside of town. I’ve always loved those hills. Over the years I’ve often driven to the highest mountain over there. You can see Harris Ranch and the Lemoore Naval Air Station lights from the top. At night, you can see the lights from the Coalinga Prison and the I-5. I liked the view of the mountains from my house, but I didn’t get to keep it for long. 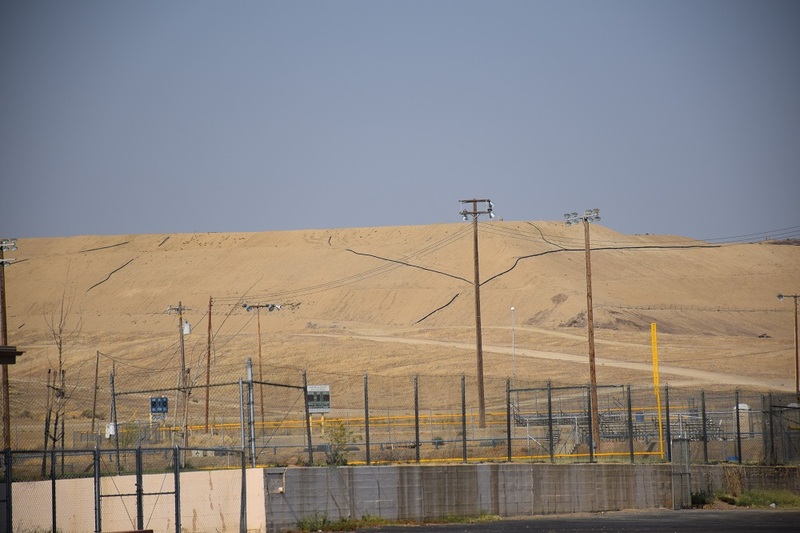 Behind that mountain, in a pit, the town of Avenal had a small landfill with an entrance in town, but in 2005 they got a permit to accept trash from other cities. The idea was that our town would make money by accepting trash from other towns. Once they started they really started! You could see trucks coming to unload day and night. We heard they were coming from L.A. and Southern California, but I’ve seen trucks come from the northeast too. When I stood outside my house at night I started seeing the lights of tractors and Caterpillar machines on the top of the mountain. They’d work all night long. Soon I realized that they were removing the top of the mountain and using it to cover the garbage in the landfill behind it. Today that mountain is completely gone, and when I come out of my house I see a big yellow squared-off mound, like the base of a pyramid, instead. It’s hard to even remember that there used to be a brown mountain there, and before that beautiful green trees. When I ask people what they like about Avenal, sometimes they say “nothing,” even though they’ve lived here for 20 years! Avenal is one of the few places where houses are cheap and you can get jobs year-round in the fields if you’re willing to drive an hour or two for work. There’s some work here in the prison and with the Wonderful company, which grows and packages pomegranates, pistachios, almonds, and other things. But mostly people live here because you can make just enough money to get your family through life. So I was surprised at a community meeting about six months ago, when everyone started getting excited about trash. The organization I volunteer with—Valley LEAP—had gathered about 15 people around a table to talk about Avenal with some professors from the UC Davis Center for Regional Change. We were free to talk about whatever community concerns were on our minds, but suddenly everyone was talking about the landfill. I thought I was the only one who spent time wondering about it. I heard all sorts of comments about what people knew and what they didn’t know. I got upset—not just about the landfill, but with myself because there’s so much we don’t know. The trucks are big and they’re all tightly covered, so we never see what’s really going into the dump, and we don’t really know how it’s affecting us. So we decided to work with the people from UC Davis to create a survey to find out how people felt about the dump. I got upset—not just about the landfill, but with myself because there’s so much we don’t know. … we never see what’s really going into the dump, and we don’t really know how it’s affecting us. We spent many Saturdays working on the survey, with five of us training in how to administer it. We’re not supposed to explain to people which answer to give, or lure them to answer a certain way. We need to know what they really think. So far I’ve done about 30 surveys and they’ve surprised me. It takes 30 to 40 minutes to administer the survey but it usually takes longer because people start talking about everything. Yesterday I was talking to a lady who said she’d lived here for 40 years. Before, she said, you’d never see the strange insects we see now. She said there are a lot of flies, and there’s a bug that is black and round, and another one that is more like a large, black, long ant. There are also a lot more crickets and cockroaches. After I talked with her I thought about it. I had noticed the flies getting bigger. And I’ve noticed the other bugs, but were they here before the landfill? I don’t know. You start connecting one thing with another but you don’t know if it’s right. I think some of the bugs are new. You can see them on the road over the sewers at night. They surprised me suddenly a few years ago. One night it was fresh and cool and the grass looked so nice and pretty that I decided to walk across the high school yard. But when I stepped on the grass something was moving—lots of cockroaches. They were scary and unexpected. And then there’s the smell. Sometimes when the wind is blowing from the east side of town from the dump it smells rotten and awful: like dead animals but not recently dead. Some people told me they got headaches from the smell. I talked to a lady who lives in an apartment on the Southeast side that faces the dump. Her son has autism and asthma. She says she can’t open the windows because she’s afraid the dust and the smell will make her son’s condition worse. People have told me that they wonder if the dump is affecting their health, but long before the dump there were a lot of health issues here. Asthma is really common: Six of my nine children have asthma. And their children have it too. But the problem is made worse because parents are always working and sometimes they miss the signs of an attack coming on, which means the kids may end up in the ER more often. In addition, many people have Valley fever—it’s so bad that inmates are being transferred out of the state prison here to avoid infection. There aren’t many resources for families dealing with chronic illnesses. 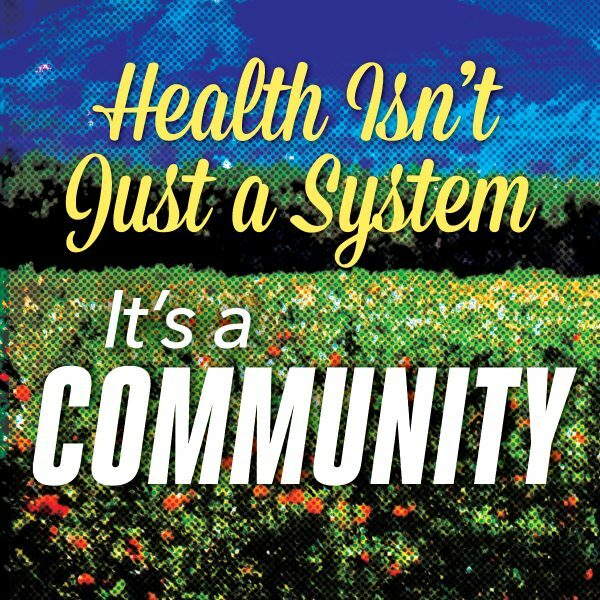 One aspect of living in Avenal is that most residents don’t think a lot about their health. They’re working minimum wage jobs, and in the summer when it’s hot they can only work six hours a day, which means they don’t get paid very much. A lot of people are barely making it from week to week, which means that even simple health issues can turn into big problems. For example, for the last few years there’s been a bedbug epidemic. It’s expensive to treat the mattresses, or throw them out, or fumigate the house. People can’t sleep comfortably at night, and it makes it hard to function at school or work from the lack of sleep. Not to mention the bug bites that result from that, which are extremely noticeable and embarrassing. The realities of life here can magnify problems that might be small somewhere else. When we have completed 200 surveys, the professors at UC Davis will prepare a report on them and give a presentation. People can attend and then decide what things we’d like to work on or get help with. Then we’ll have a better idea of what we all know, and what we still need to learn. I don’t think we’ll arrange to close the dump—I think it has a contract to accept trash for many years. But I think people need to go to a meeting and express their feelings and thoughts and the city council needs to hear about them. Primary Editor Lisa Margonelli. Secondary Editor: Sara Catania.